Happy Monday everyone. It's time for a new challenge over on the MarkerPop Blog and this week it's a Fall Color Challenge. 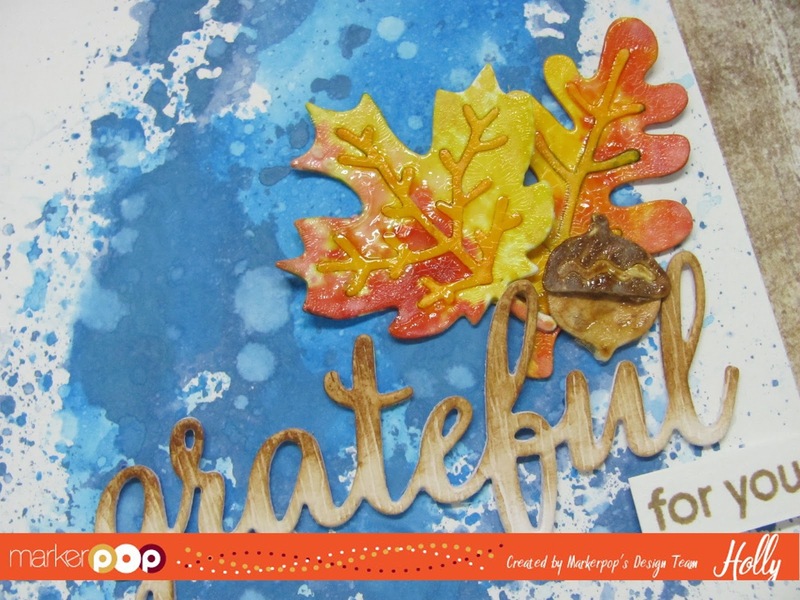 I'm using the Autumn Leaves die set from Newton's Nook Designs and the My Favorite Things Grateful for you Stamp and Die set. I started with a piece of Tim Holtz Watercolor Distress card stock and I added some Faded Jeans and Salty Ocean Distress Oxide Inks to create a background. Then I die cut Grateful from the Tim Holtz Woodgrain cardstock Three times and layered them together. I added some Vintage Photo Distress Ink around the upper portion of the sentiment having it fade out. I die cut the Autumn Leaves from some Tim Holtz Watercolor paper and then I added some Distress Oxides Inks in Fired Brick, Fossilized Amber, Wild Honey, Walnut Stain and Vintage Photo. Once they were dry I added some Tim Holtz Crackle Paint to the leaves and heat set it with my heat tool. 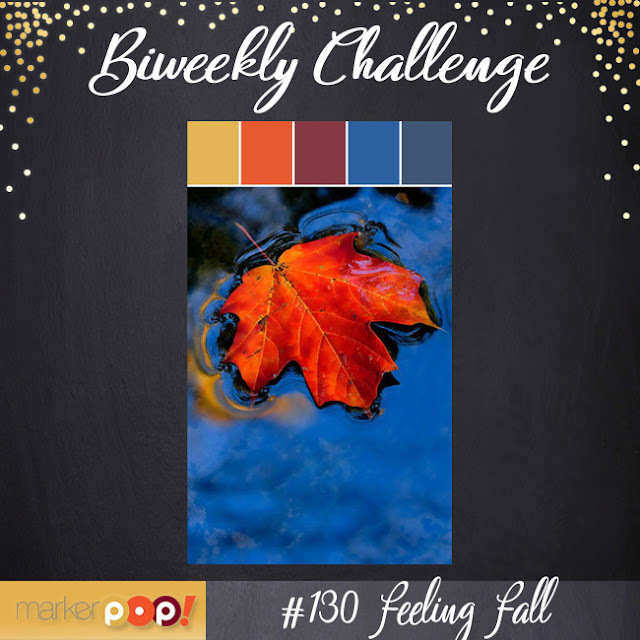 It created a fun glossy cracked effect to the leaves. I adhered the Panel to a top folding A2 size card base and then I added the sentiment and the leaves just above with some mini Glue Dots. I stamped For you onto a scrap of White in Lawn Fawn Doe ink and adhered it with some Foam tape. Head over to the MarkerPop Blog for more details on how to enter to Win.. We hope you will join us! This is a beautiful card, the background is stunning. And great job sticking to the challenge.